For the premiere of Star Wars Episode II back in 2002, I decided to make an opening night costume to wear for the event. 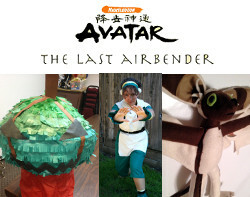 Keep in mind, I made this before the film came out, so there were no books or images of all the costumes out yet. All I had to work off were the movie posters and paparazzi shots. Plus, I had no money because I was a college student, so with that said, this is what I was able to come up with. Here are some of the details that went into the dress. 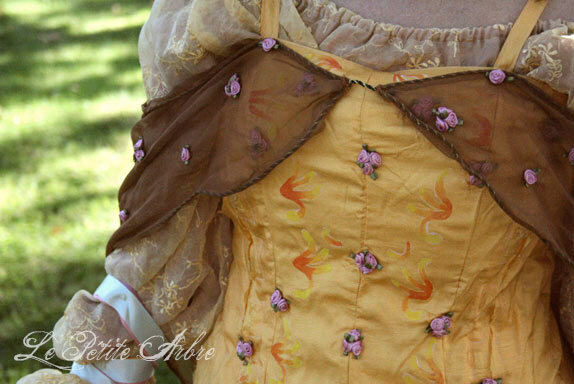 is a Simplicity Pattern 9966, In the film the yellow had a pink look to me so I lined it with a rose fabric. The shell is from some sheer curtains I dyed yellow. 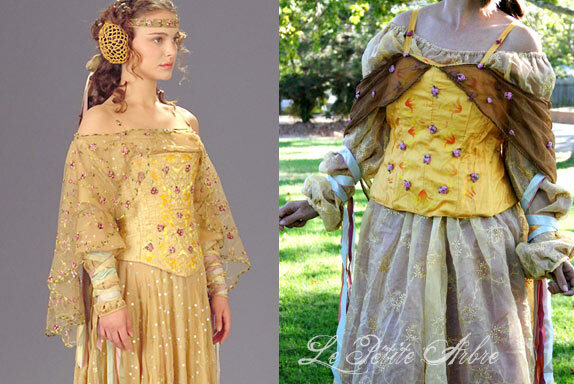 Nowadays, I see people who have recreated the dress made the sleeves from a light fabric. I think that is kinda nice, as long as it isn’t totally transparent. Look closely at the cuff, it is not totally sheer. 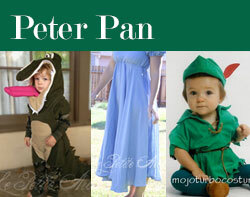 is from Simplicity 2966, but you could also use a corset pattern as well. This corset pattern is nice too (Simplicity 2621). I hand painted all the detail onto the bodice. At the time, I was too scared to paint directly on to the garment so I painted it on a sheer that I later fused to the bodice. are frayed in a vertical “dental” fashion. I cut double the amount of side panel fabric than required. I then cut each in half using a Greek Dental pattern, then top stitched it to the other of this twin. 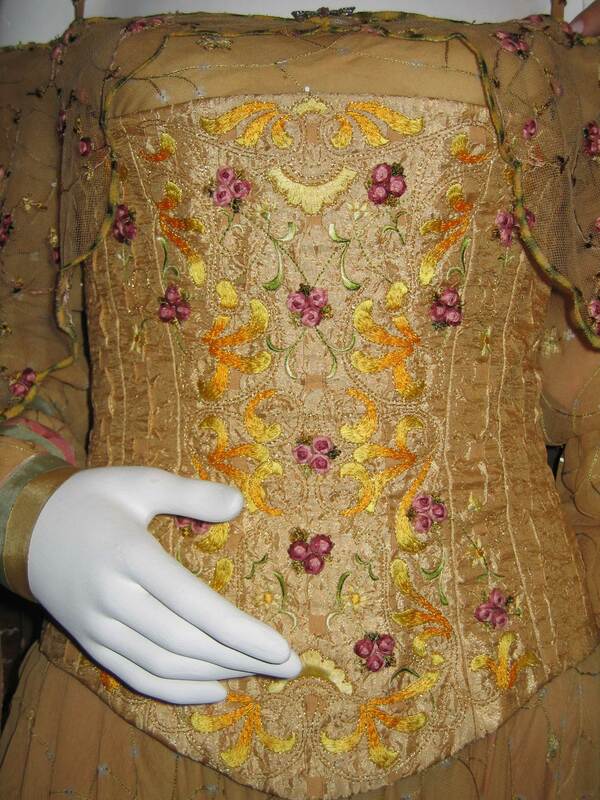 Here is a nice close up of the bodice front. All I had to go off of was the Vanity Fair cover where the dental detail is evident. is about 70″ of each color. They are 1″ wide baby blue, lavender, pink, gold ribbon. They are stacked on top of each other, then fastened together each with half of a snap. The other half is attached to the sleeve. This ensured it would not slide down my arm. I also had extra ribbon for my hair. is is also snapped to the bodice at the straps. Now, if I were to do it again (which I am considering), I would make a yellow shawl but I would still use the green/gold stripped cording since it is still accurate to movie dress. 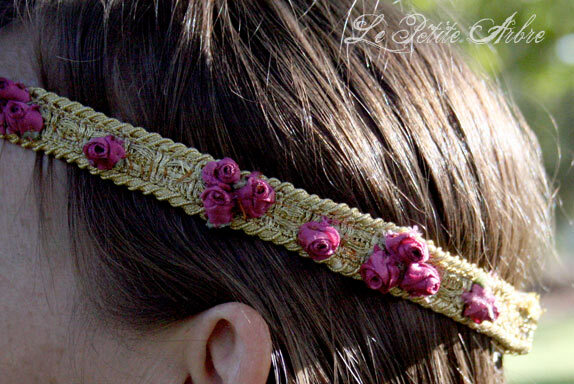 is a braided ribbon from the fabric store with roses hand sewed on (I don’t own a glue gun, so that might work as well). I attached a snap at the back of the head band to give it a secure fit. Now that I am older, I have learned to crochet, I would definitely make these ear snood coverings. This was the group of costumed people, including myself, the night of the premiere. 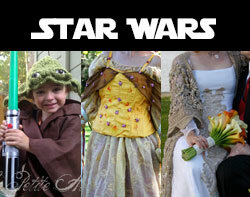 If you are interested in the Boba Fett Costume here is a link to it’s creator. I have no clue who the other people are in the photograph are. They just happened to stand by us when the photo was taken. Although, I know the guy in the middle was supposed to be “Darth Vader.” Not very convincing I might add. Where is your authenticity, dude? Anyway, hope this was helpful in some way. 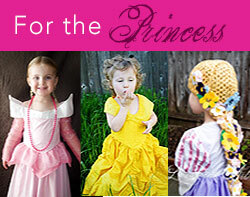 Leave me a comment if you have any questions, or post a link to your Padme dress that you have made.